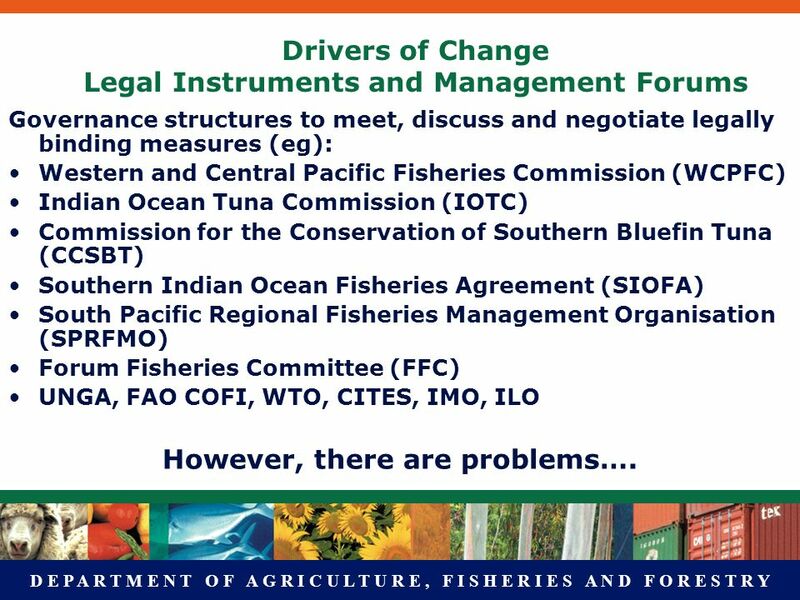 4 D E P A R T M E N T O F A G R I C U L T U R E, F I S H E R I E S A N D F O R E S T R Y Drivers of Change Legal Instruments and Management Forums Governance structures to meet, discuss and negotiate legally binding measures (eg): Western and Central Pacific Fisheries Commission (WCPFC) Indian Ocean Tuna Commission (IOTC) Commission for the Conservation of Southern Bluefin Tuna (CCSBT) Southern Indian Ocean Fisheries Agreement (SIOFA) South Pacific Regional Fisheries Management Organisation (SPRFMO) Forum Fisheries Committee (FFC) UNGA, FAO COFI, WTO, CITES, IMO, ILO However, there are problems…. 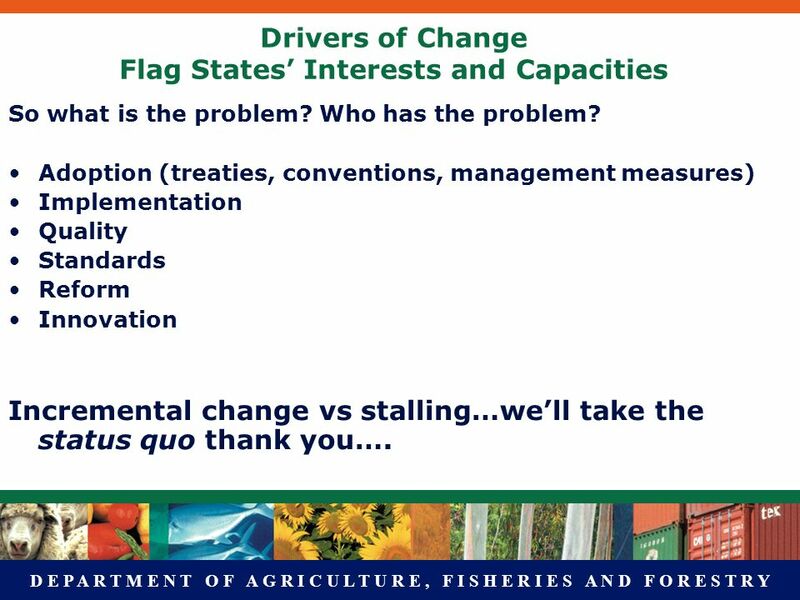 6 D E P A R T M E N T O F A G R I C U L T U R E, F I S H E R I E S A N D F O R E S T R Y Drivers of Change Flag States Interests and Capacities So what is the problem? Who has the problem? Adoption (treaties, conventions, management measures) Implementation Quality Standards Reform Innovation Incremental change vs stalling…well take the status quo thank you…. 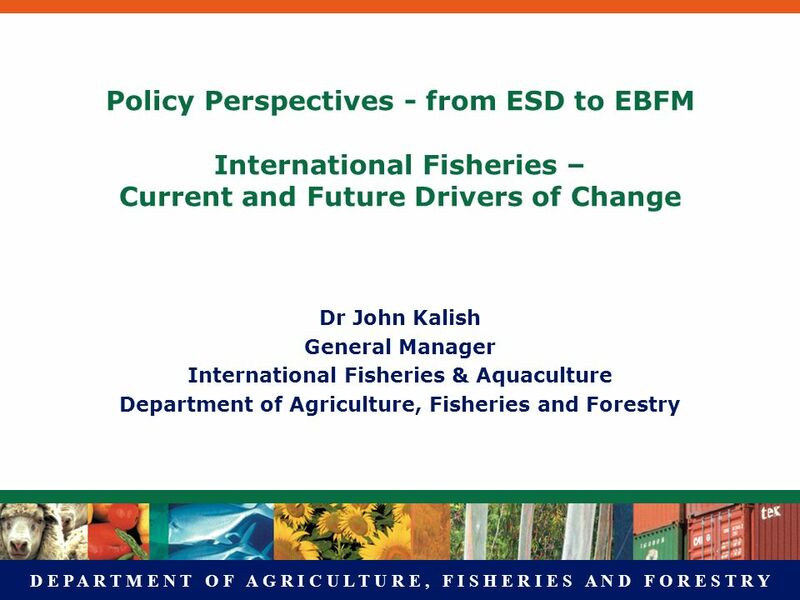 Download ppt "D E P A R T M E N T O F A G R I C U L T U R E, F I S H E R I E S A N D F O R E S T R Y Policy Perspectives - from ESD to EBFM International Fisheries –"
Also called the Law of the Sea Convention or the Law of the Sea treaty, it is the international agreement that resulted from the third United Nations. WHAT IS THE CORAL TRIANGLE INITIATIVE on CORAL REEFS, FISHERIES & FOOD SECURITY? Natural Resources Management and Environment Department FOOD AND AGRICULTURE ORGANIZATION OF THE UNITED NATIONS Cotonou, 5 October 2012 PRESENTED BY: Anni. 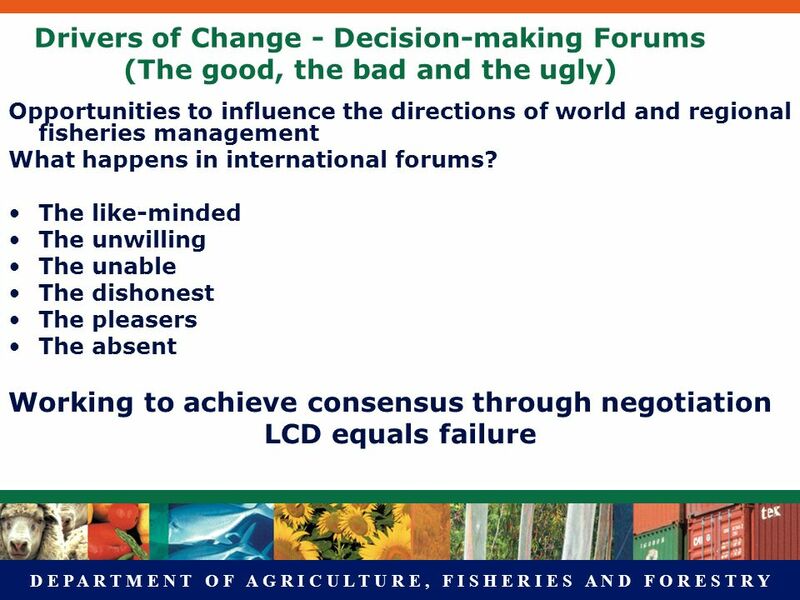 Social Aspects of Fisheries: Implementation of the Outcomes of the Summits on Sustainable Development Sebastian Mathew International Collective in Support. Global Issues of Marine Turtle Conservation Frameworks for International Collaboration Liz McLellan Global Species Programme/Asia Pacific Marine Turtle. INTERNATIONAL CONFERENCE ON SEAFOOD Mauritius 02 – 03 March, 2006 Government Strategies for the Seafood Hub Presented by Mr. Daroomalingum MAUREE. Accessing Domestic Development: Distant Water Fishing for Tuna in the Western and Central Pacific Ocean Elizabeth Havice - PhD Candidate - University of. 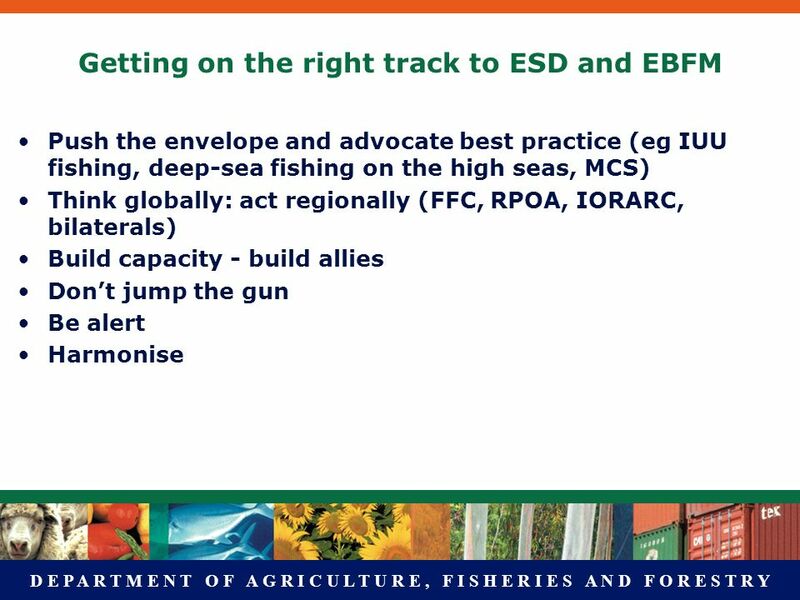 The Code of Conduct for Responsible Fisheries (CCRF) Fisheries Department FOOD AND AGRICULTURE ORGANIZATION OF THE UNITED NATIONS. 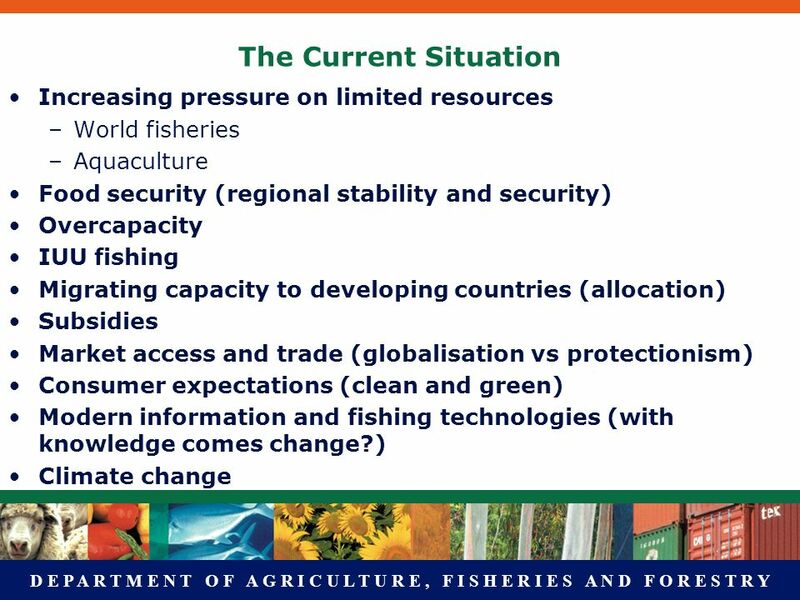 Re-orienting Developing Country Fisheries Policies Towards Sustainability: A Role for Subsidies? Sebastian Mathew International Collective in Support of. 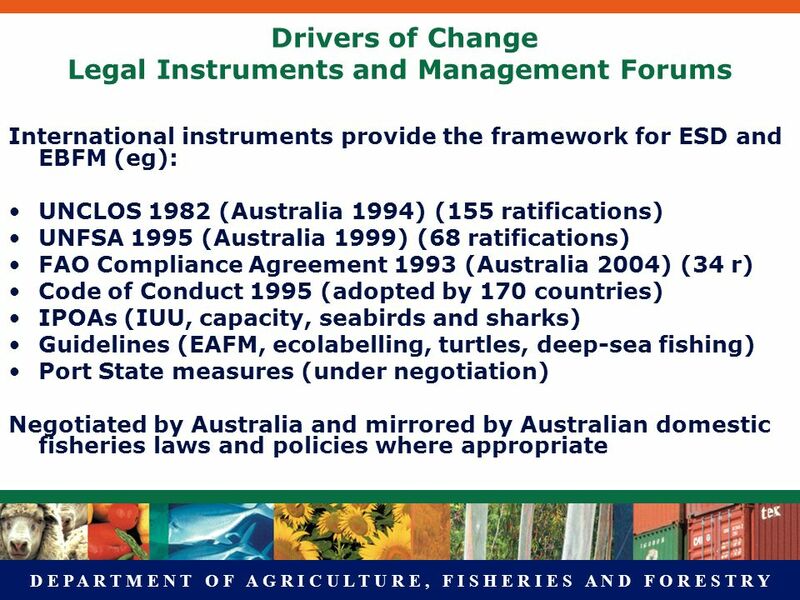 The International Legal Regime for Fisheries Management Martin Tsamenyi, PhD Professor of Law & Director Centre for Maritime Policy University of Wollongong. 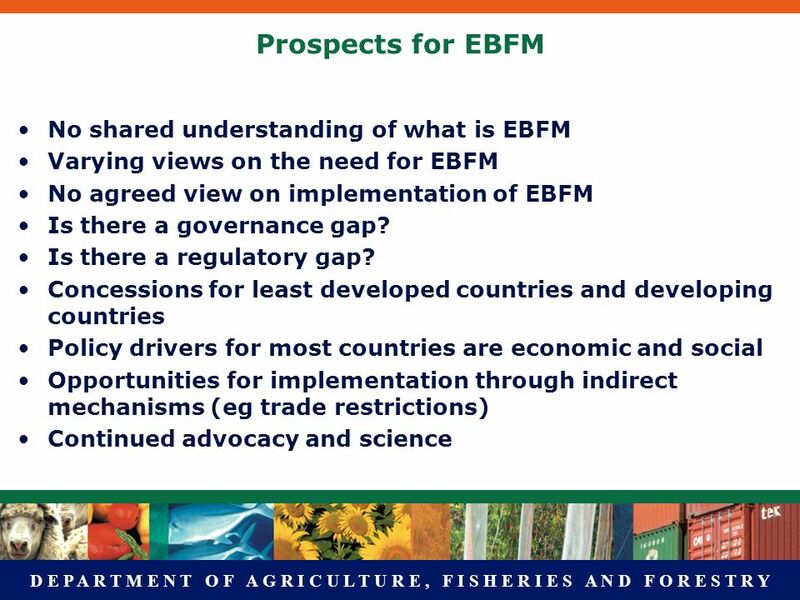 “Regional Fishery Management Regimes – Comparisons of Structure and Function” Hiromoto Watanabe Fishery Liaison Officer International Institutions and. Actors in International Environmental Politics States, institutions, industry, NGOs and scientists. 1 United Nations Environment Programme Economics and Trade Branch Second Meeting for the Network of Institutions for Sustainable Development 19 September. 1st FAO GLOBAL MULTI-STAKEHOLDERS FORUM ON ANIMAL WELFARE Session 1 - Sharing Successful Practices And Experiences: The Voice of The Government Institutions.